It seems like each time we got closer to cookie perfection through tweaking our gluten-free recipe something would set us back. Anyone that has ever had experience with gluten free vegan baking will attest that things don’t always work out. Furthermore, baked goods never seem taste as good as the gluten filled option. Well that is no longer the case for cookies. Perfection may be an illusive goal since the closer you get the harder it often becomes. As with any barrier, the act of seeking can get in the way of finding the solution. 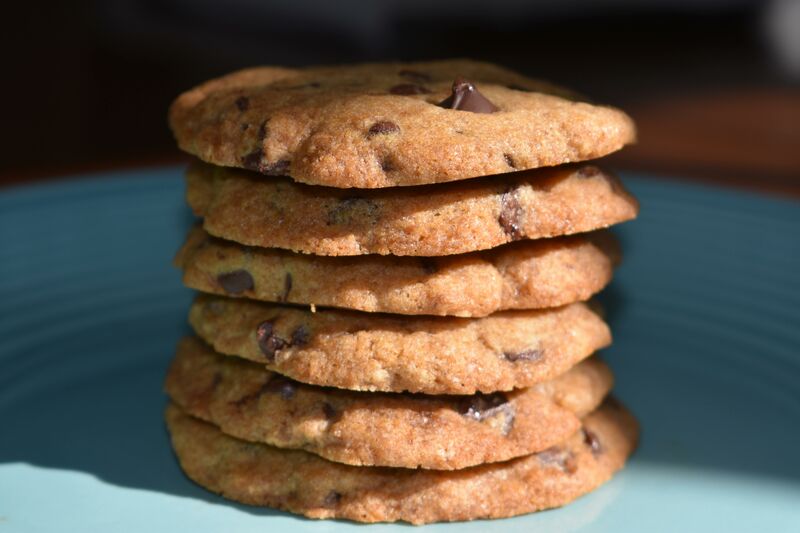 Suffice to say it takes a fine balance of ingredients to make a really good gluten free cookie. But we did not just aim for good, we went for awesome! This process has taken us along a winding route we called the “cookie discovery trail”. We started with high quality gluten-free ingredients for the cookies and through much trial and error figured out what worked best. Touch, Taste and Smell. A veritable trifecta of cookie sensory variables were duly considered with all the highs and lows included. After many hundreds of small steps forward along this gluten-free path towards cookie awesomeness, a clearing has finally appeared. Along the way we worked diligently towards balancing the tactile, olfactory and taste of our new cookies and if you add in consideration for how long a cookie stays optimally fresh then things get interesting. 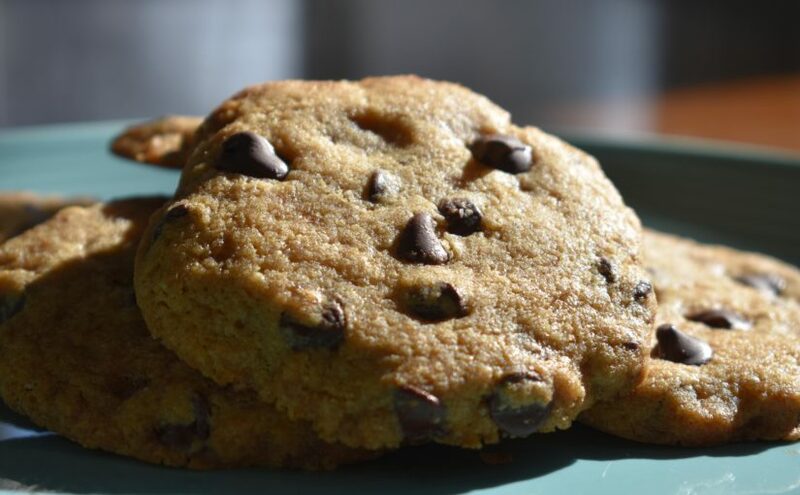 Patience and tenacity are two helpful motivating forces: they helped keep the search for the “holy grail” of the gluten free cookie moving forward. We just baked up a new sample batch of the gluten-free cookies for some “old-fashioned” cookie taste testing partnered with a cool glass of our favourite almond milk. 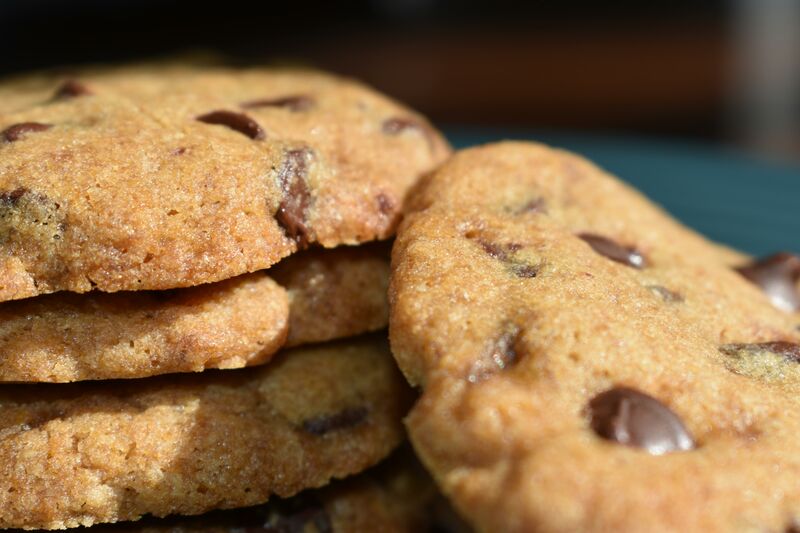 The test kitchen smells absolutely divine with the fresh cookies just out of the oven. 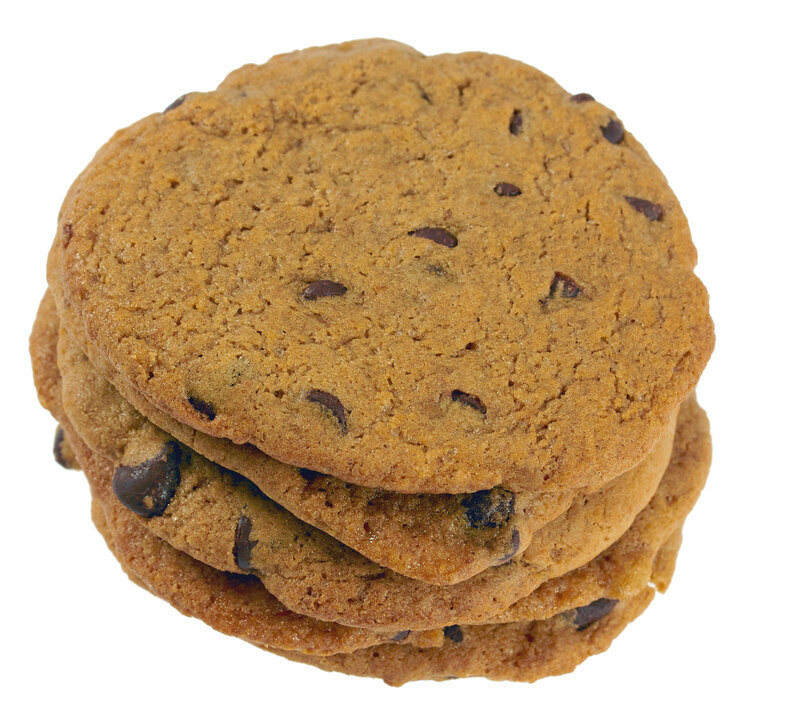 The new cookie flavour has been added to our gift website for vegan cookie delivery in Toronto. We are looking forward to hearing how many smiles they make for people all over the Toronto area. In other news, later this year we are going to be using slightly different cookie boxes. These new cookie gift boxes are made of an even higher percentage of recycled materials. We feel every little bit counts and we always try our best to limit waste and packaging with out gifts! 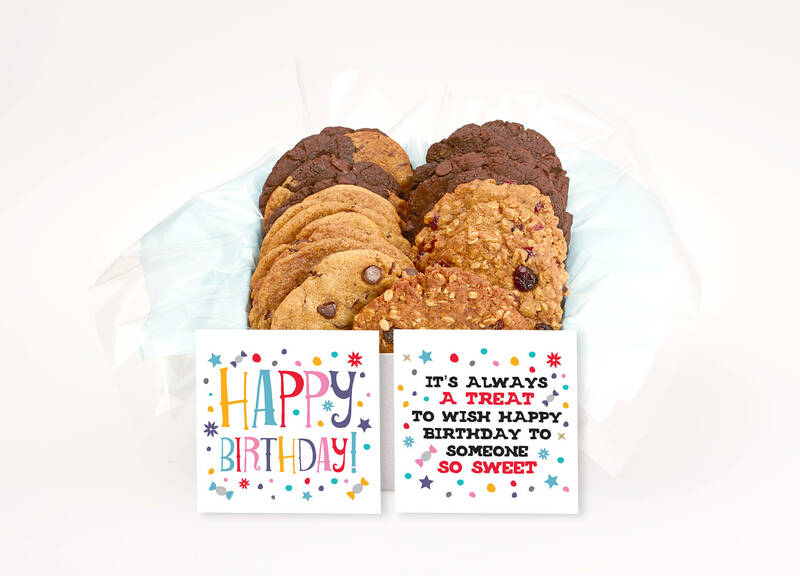 We love to sending out birthday gift boxes filled with our delicious vegan cookies. Our cookie gift boxes are delivered throughout Canada and our other cookie gifts locally in Oakville, Burlington, Hamilton, Mississauga, Dundas, Stoney Creek, Waterdown and across the GTA. If your city is not listed above, please see our cookie delivery city list to check to see if we deliver cookies locally where your gift recipient lives. 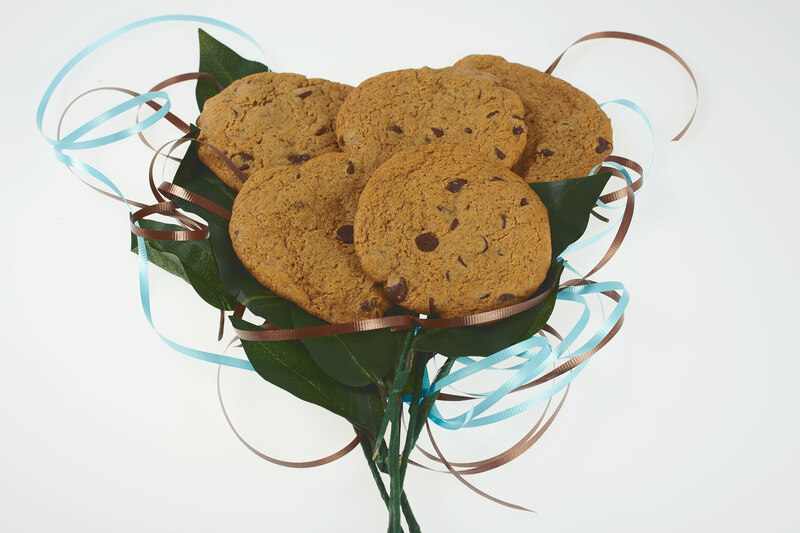 If you are local to us then our cookies can be gifted locally in the form of baskets, boxes, jars, giant cookies and cookie bouquets. Enjoy the spring outdoors, the crocuses are flowering. Take time to celebrate the moments that come along with the renewal of a new year. Better Cookies also delivers tasty and some of the best vegan gift baskets available in Oakville, Mississauga, Burlington, Hamilton and across the greater Toronto area. We did a blog post last Spring about our gift baskets for anyone interested in a gift basket instead of a gift box. We also have special Birthday Gift Baskets now with gluten free vegan cookies. 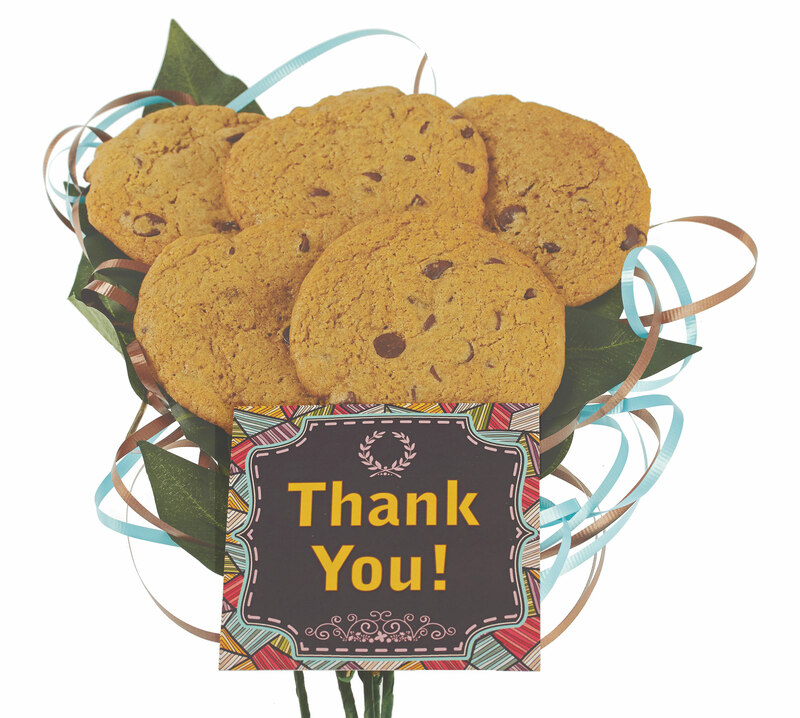 Two recent customers shared this about their gifts of Better Cookies delivered to someone special. I have ordered 2 x from your company and am extremely happy!! I would order again in a heartbeat!! AND your delivery service is fantastic! I do not have to worry about whether the cookies will arrive on-time. They just do!! Thank you again!! Absolutely awesome service! Happy to find vegan cookies and my boyfriend was overjoyed with his gift! I tried the cookies too and they are fantastic. Don’t let the cookie crumble and have fun this spring!